Humpback whale spouting along the Broughton Archipelago at sunset. 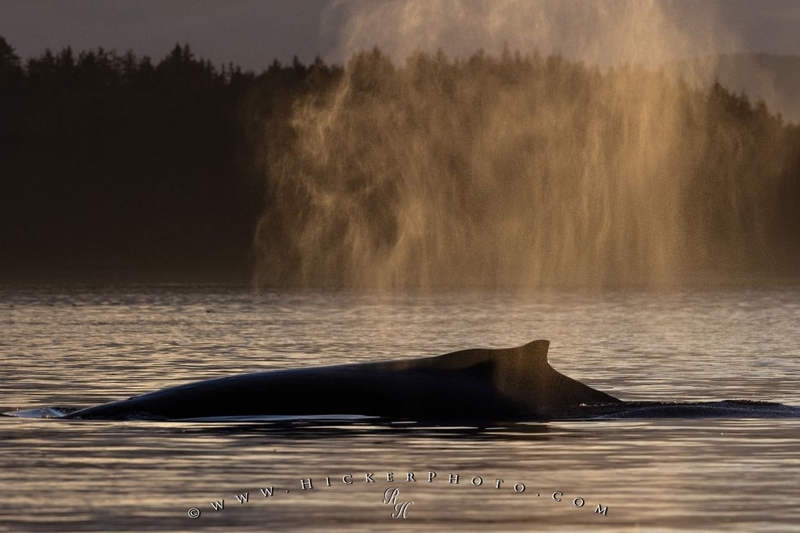 Humpback whale (Megaptera Novaeangliae) exhaling (spouting) at a late afternoon during sunset near an island in the Broughton Archipelago, First Nations Territory, Great Bear Rainforest, British Columbia, Canada. Pictures from photo gallery "Humpback Whale Pictures"
This picture is part of the photo album "Humpback Whale Pictures" - there are more beautiful images waiting for you.